Thanks to a 2-0 win over Monaco Atletico Madrid cemented top position in Group A, but Borussia Dortmund are still breathing down their neck. Los Rojiblancos are only two points clear of the Millionaires in the standings, meaning that Tuesday’s football match against Club Brugge is of big importance for the visitors. 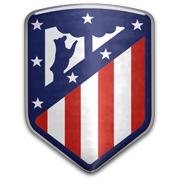 Diego Simeone’s men head into the game following a routine 3-0 win over Deportivo Alaves in La Liga and we predict that they are going to give fans yet another reason for celebration. Club Brugge have already booked their place in the Europa League knockout stages, meaning that they have little to play for in their last group game. In Diego Costa’s absence, all eyes will be on Antoine Griezmann, who is likely to prove a handful for the opposition defenders. Taking everything into account, we believe that there is a big value in betting on the La Liga side. Born on January 19, 1994 in Hwange, Marvelous Nakamba is a Zimbabwe international who plays for Club Brugge in the Belgian Jupiler League. Nakamba started his youth career at Highlanders and he made his senior debut with Bantu Rovers. The Zimbabwe footballer played for Nancy before joining Vitesse in 2014. After scoring two goals in 67 appearances for the Dutch outfit in the league the central midfielder signed a four-year deal with Club Brugge in June, 2017 for a fee of £4 million. Nakamba made his Club Brugge debut in the league in July, 2017 in a 4-0 win over Sporting Lokeren. Speaking of his international career, Marvelous Nakamba represented Zimbabwe in the under-20 level and he made his debut with the main squad in June, 2015 against Malawi. His main position is central midfield, but he is used as a defensive midfielder as well. Nakamba’s preferred foot is left.